A house is not only about the kitchen, living room and bedrooms. The bathroom is also an integral part, along with the outdoor areas, that you need to clean up before leaving a home. Below are some tips for cleaning those easy-to-forget places before you move out. For the best results, hire a professional service like Home Maid Better for house cleaning in OKC. This is the place where you need to disinfect everything. From the faucets to the floor and wall tiles, everything should be squeaky clean. You should use bleach-free cleaners; otherwise, you may end up discoloring the bathroom. Tiles and Floor: Buy a scrubber, if you don’t have one, and scrub the tiles. The tiles often get splashed with water, and you can find debris there. Only a scrubber can completely remove those and yellow or green patches. For the floor, use a mop to clean the surface, then let it dry. Bathtub and Shower: Make a mixture of baking soda and vinegar, then rub this paste on the fixtures like the shower head, shower rod or on other such places. Leave the paste on for few minutes and then brush it off. To stop mold growth or to get the sparkling clean glass, you can again use this paste. Remember to also replace the shower curtain. Sink: Pay attention to the faucets, handles and other metal surfaces. Here you can make the best use of an old toothbrush to help remove stains the best. Clean the mirror, vents, light fixtures, racks and holders well with a mild cleaner. In addition to the interior of the house, you should also take a look at the outdoors. You cannot deny the fact that outdoors is an equally important part of a home when it comes to hygiene and appearance. Empty the garage and storage space. Remove all possessions from the yard, including anything hanging from trees, dog kennels, tools and even shoes. Clean the gutter, check the mailbox, ensure all lights are working and sweep the stairs, sidewalk, porch, patio and driveway. Windows should not be overlooked. Maid in Oklahoma City uses light, chemical- and paraben-free cleaners for windows. Harsher chemicals can leave streaks on the windows, leaving them less sparkling. 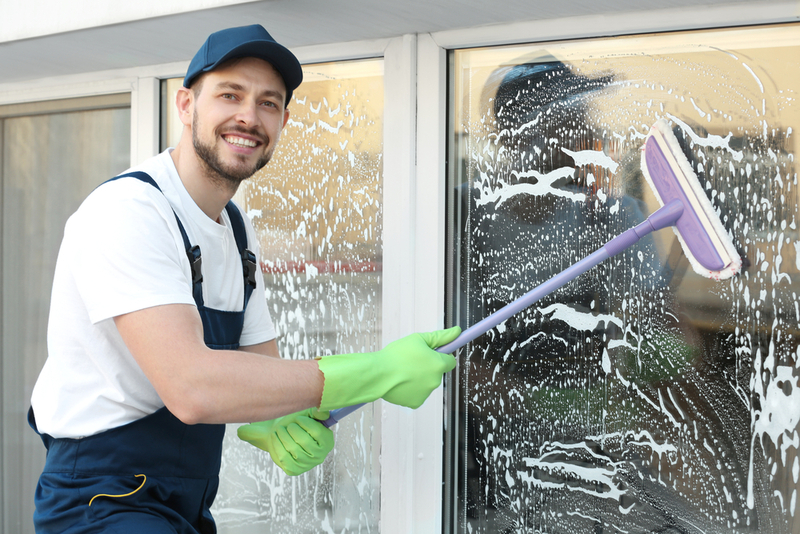 There are a variety of tools available for this task, but usually, you can buy a multipurpose cleaner for your windows. Use a clean rag or paper towel for the corners and frames to get rid of the dirt. For mold, use antibacterial cleaners. Wash fabric curtains in a washing machine and air dry them.